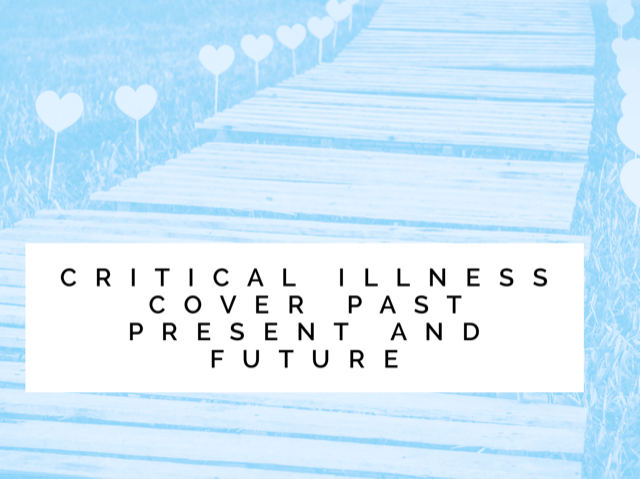 Brian Lentz gives us an indepth look at the past, present and future of critical illness cover. To see where we are going we first need to look at where we’ve come from. Early last century life cover was the primary cover type, because life expectancy was low and death from diseases such as pneumonia, influenza and believe it or not, diarrhoea were very high. The policies back then were governed by the Life Assurance Act 1774, which still holds true today in terms of insurable interest so that people could not insure for more than their loss . Medicine began to advance with the discovery of life extending vaccines and antibiotics and continual medical treatment improvements have changed many lives and will continue to do so. The increase in diagnosis of cancer earlier than was previously possible saw the advent of “cancer cover” riders in the USA, Israel and Japan. It took a South African heart surgeon to see the bigger picture. Dr Marius Barnard explained in an early Pegasus Assurance seminar in London to those of us attending back then “I would treat and repair people in hospital, only to see these people come back into hospital earlier than they should. I realised the worry and stress financially on their work and home, some losing both, meant medicine wasn’t the only solution needed as they were suffering from financial disease”. In 1983 through Crusader South Africa Marius launched Dread Disease cover (for things you dreaded getting) covering Heart Attack, Stroke, Cancer and Coronary Artery Bypass Surgery. The latter is a surgical treatment rather than a condition and even today a product can only be called Critical Illness Cover, as it was renamed for more palatable marketing purposes, if it covers at full pay-out those three conditions (before any underwriting decisions) as a minimum described in the UK ABI Statement of Best Practice as: Cancer – excluding less advanced cases, Heart attack – of specified severity, Stroke – resulting in permanent symptoms. The idea of Critical Illness spread from that South African model and by the late 1980’s and early 1990’s, the UK insurance market saw the rise of providers offering critical illness cover, with one, Abbey Life, marketing life assurance that paid out whilst you were still alive. However, in the process the different providers all had very different medical definitions of the conditions the policy would pay out on. At the time there were around nine different definitions of what an Acute Myocardial Infarction or “Heart Attack” was , including the World Health Organisation definition. Advisers were needed to distribute these new products and explain how they worked to the buying public, but financial advisers are not normally medical experts and many were confused about which ones they should choose, fearful of selling one that wouldn’t meet a client’s claim when another could, especially those who didn’t learn to specialise in this market. The IFA trade body of the day, NFIFA which later became the IFAA (and eventually AIFA), decided to act and created the Critical Illness Working Party (CiWP), made up of two specialist protection IFAs, John Joseph and Brian Lentz, providers and reassurers. The CiWP worked on creating a standardisation of medical conditions that all providers could follow, meaning the adviser only had to choose the budget and provider covering the most conditions for that premium as everyone defined a heart attack, stroke, cancer and many other conditions in the same way. Providers who wanted to follow the new standardisation bought a special NFIFA logo to put on their literature so advisers could easily identify them. Sometimes issues arose that may not have seemed obvious when drafted. Permanent Total Disability was designed to “catch” those conditions not having a specifically defined medical definition in the policy as a “catch all client benefit” throughout the life of the policy. However, if someone broke their limbs and couldn’t do their job they could claim under an Own (or Own/Suited) if the policy came to an end before they mended, so the term “Permanent” was changed for subsequent (not those contracts already sold with that definition) policies to mean “expected to last throughout life regardless of policy term”. PTD became Total and Permanent Disability (TPD) later. However, this is the most contentious and claims disputed area of cover because it doesn’t follow any specific medical definition. Whilst most providers adopted the new standard definitions not everyone did, because they wanted to market through direct sales rather than whole of market advisers, sometimes an inferior product that may be harder to claim on or covered less conditions with a higher provider profit margin. The vast majority of sales were through the advised route however and providers started to add other conditions to jump ahead of their competitors. The CiWP decided to “hand over” the standard wording idea to the ABI, because they would have the teeth to ensure members met the standards as a minimum and from that time, the ABI’s Statement of Best Practice for Critical Illness (SoBP Ci) was born and still in use today, being updated around every three years, though not every single provider is an ABI member and are free to use their own definitions. There is also talk of renaming the SoBP as it creates a minimum standard of benchmarking with providers free to offer “better” definitions that clients would find easier to claim on, known as ABI+ conditions, so these days it’s no longer a best practice but rather a minimum standard. With providers increasing the number of conditions they offered to appeal to advisers to sell their version, sometimes splitting out conditions that would previously have been covered by a single wider definition of a cluster of conditions. There was a time conditions had increased by providers trying to leapfrog their competitor in a seemingly ongoing race that made the future of critical illness uncertain due to price implications. Indeed Dr Marius Barnard went on record in 2005 as saying he believed unless providers started to look at severity payouts Ci would become too expensive to buy in the future. Around this time Prudential looked around for a solution and found it in 2004 in a model of cover sold again by a South African company, Discovery Life. Prudential agreed with Discovery in a commercial deal that it would adapt their model for the UK market. In 2007 Prudential launched the Flexible Protection Plan based on paying out according the severity of the condition based around complete body systems, not just a number of definitions, a first for the UK and offering a Disability cover and an Income Protection plan to age 70 to reflect older working ages - a first in the UK for individual cover, later becoming PruProtect with and now with client health style points linked rewards renamed as Vitality, on the basis that healthy clients are less likely to suffer claimable conditions associated with an unhealthy lifestyle. It wasn’t the first UK severity plan as Unum had launched Elixia 123 earlier, but Prudential’s was the most comprehensive in so many ways and the most innovative, including being able to reinstate cover. Advisers weren’t sure of how to compare it at first and because it didn’t pay out 100% on the 3 Ci conditions as a minimum, it was called Serious Illness Cover rather than Ci. Eventually advisers saw some benefits, especially as clients were used to general insurance paying out just the cost of a broken window and the full house value if totalled by fire, rather than as Ci does generally, the whole house value for a broken window with nothing left for any more serious fire later. Advisers and clients could then choose between the “lottery effect” of a full Ci payout for something that may not change their life completely or wider coverage of conditions with many payable at an earlier stage and again if the condition worsened under SIC. In 2015 Friends Life (now Aviva) addressed the dilemma many Ci claimants face - whether to pay off the mortgage and debts the cover may have originally been taken out for, or seeking a second opinion and paying for treatment outside the UK if it is felt the NHS doesn’t offer the best solution (remember Ashya King) in order to get better. The answer was Global Treatment from Life, a rider benefit offering a solution through Best Doctors including treatment abroad for six conditions: Cancer treatment; Coronary Artery bypass surgery; Heart valve replacement or repair; Neurosurgery (for conditions like benign brain or spinal tumours); Live organ donor transplants; Bone marrow transplant. • Catch all – TPD (was PTD) – was a move away from definitions to simple impact diagnosis post event. How do we avoid the same issues where TPD is the biggest area of claims declinature due to it’s non-specific nature? • Plans do not adapt as needs change. Income needs not addressed outside the little used FIB Ci route. Where does critical illness go from here? There is a move by some providers (new/returning to the market and existing) to pay certain conditions, such as a heart attack etc, upon diagnosis by a medical expert without setting out the definition requirements. There is a touch of pre NFIFA standard wording deja’ vu about that, but it does future proof the cover against the need to meet a definition criteria that uses a medical practice when sold which is no longer carried out when a claim arises. For example, Troponin tests replaced enzymes tests after it was found enzymes could be raised due to other factors and were usually not altered for very long whereas Tropoin could be tested for much longer after the event, was more accurate and cheaper to do. Conversely, it means a client probably cannot use an old “blunter” standard and get a large pay-out if it’s down the medical specialist using current diagnostic methods, although the client may get a payout where under an older definition they may not have, unless the provider went outside their own definition on a claim. Using a medical expert’s opinion rather than defined wording can indeed act in the client’s favour, but what if there is a dispute amongst experts or if a medical specialist outside the UK has one view and a UK medical specialist another – clearly the client benefits where the provider only ever takes the opinion most favourable to the policyholder, otherwise we are in TPD territory again. Variants based on severity (or partial payments) are likely to be around but they need to evolve. The trouble with critical illness cover is it doesn’t take the “impact” into account, only that the client meets the definition. Two people suffering a heart attack, which is the death of a portion of the heart muscle and why the ECG reading is thereafter different, can have very different outcomes, one life changing the other perceived as a bump in the road if a minor AMI but both are paid the same amount under a traditional Ci policy. Is this a good or bad thing…the answer is probably down to which of those two clients answers the question. What is really needed is a more holistic approach entirely. We all know there is a big protection gap, especially since mortgage linked endowments with Ci riders became bad news. We also know Ci is sold not least because there isn’t a requalification at claims stage like Income Protection and is easy for clients to understand the principle, even if they do not understand every medical condition covered by their policy. If I could design a plan now it would be where the cover can be paid out in a variety of ways throughout their lifetime (there is now only one provider offering advised Ci cover throughout life, Old Mutual’s Rolling Term, but no one knows when a client will need to claim so why limit the cover outside known term debt to a term based solution that may run out before the client needs it given clients have the need for different protection solutions for different reasons. What if it could “morph” according to need the client can reassess with the help of the adviser, with a central sum being underwritten and premium payable by the benefit types to be paid out at that time and could change regardless of health, not as specific as GIOs are? It could offer a Ci option, lump sum option, income like an IP but the differences being it’s not retested unfairly at claims stage - the client gets what the client has been paying for in good faith. It would allow separation of beneficiaries, because a payment made to the lender directly (like MPPI) is ignored for state benefits but currently not ignored if the money passes through the policyholders hands. Better to allow designated payment of income or lump sum to the lender to avoid that issue for IP and make it easier for Ci being excluded from state benefit calculations. The designated “other” beneficiary can change to adapt to changing mortgagees, amounts etc. and a return to policyholder beneficiary if the mortgage or debt is paid off meantime. It would allow payment for long term care needs, something generally needed by clients as they get older, but not exclusively as younger lives can suffer life changing injuries through illness or accident and also need care long term. Wouldn’t it be great if the State also recognised and rewarded those taking out cover thus reducing the burden on the state, by not penalising state benefits and/or providing encouragement through tax relief on the premiums? Maybe the financial services regulators will finally realise after thirty years the benefit to clients of protecting their income, health and lives and reward those who actively advise in this area and reconsider TCF for those who do not. What is the point of the regulator stress testing a rise in interest rates but not the very likely change in income or job through ill health, redundancy or death of a partner? Any views expressed here are my own based on my own experience and are not intended to reflect those of any company I have worked for, am working with or may work for in the future. Brian Lentz is a former IFA and previously Deputy Chairman of the NFIFA and IFAA Independent Critical Illness Working. Also involved in product design helping create Old Mutual’s (Nee’ Skandia’s) Rolling Term and worked in PruLab writing the first product specification and helping design, build and launch the Pru’s Flexible Protection plan, now known as Vitality.